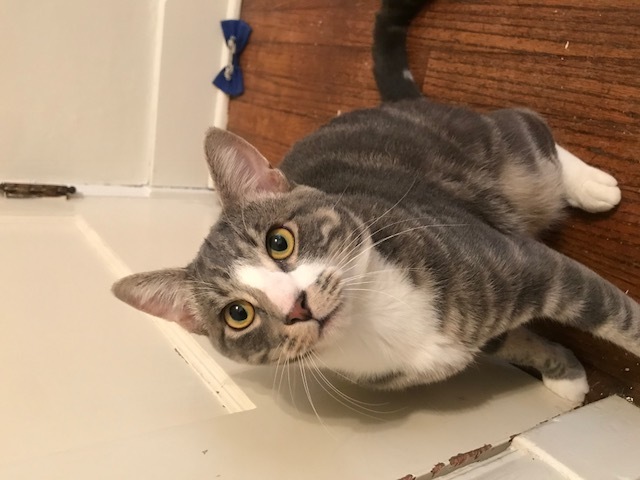 My name is Riley and as you can see, I’m an extremely handsome 10-month-old boy that is ultra sweet! I will purr the instant a person walks in the room and right away I’m ready to play. 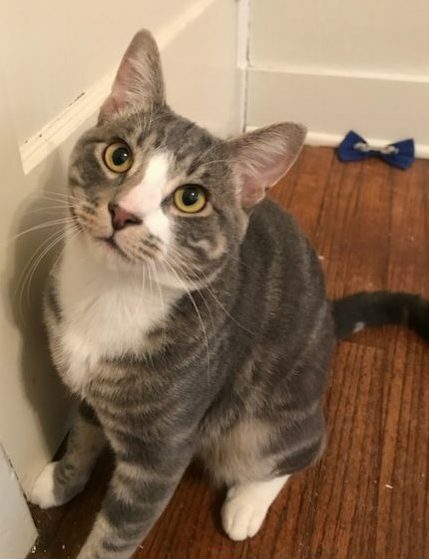 I have a lot of energy and will definitely thrive in a home where there are people around to entertain me with string toys, a game of chase… whatever I can hunt and catch! I’m not a shy guy at all and will be right at the door to greet you whenever you come home, ready to snuggle once I’m tired out. 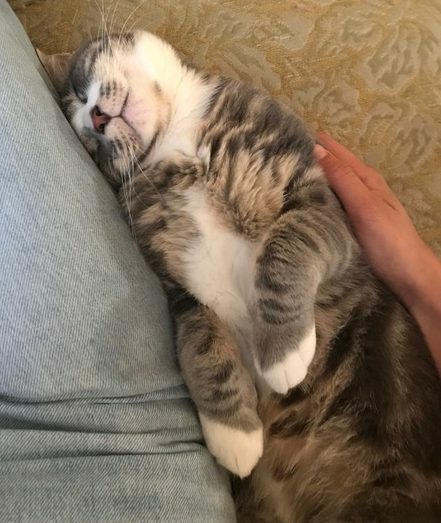 I was rescued as a tiny kitten and didn’t grow up around any of my siblings or other cats, so I am still learning how to play gently and be confident around other animals. I’m a little hesitant around my foster mom’s other kitty and dogs I’ve met but over time, I will probably benefit from a confident animal friend that I can wrestle with that will also help me learn to be more gentle when I’m chasing ankles or wrestling arms. For this reason, I would probably do best with a cat-savvy owner and in either an adult-only home or a home with confident, older children. I’m not aggressive or sassy at all — I just haven’t quite learned how strong I am and when I’m ready to hunt, all bets are off! 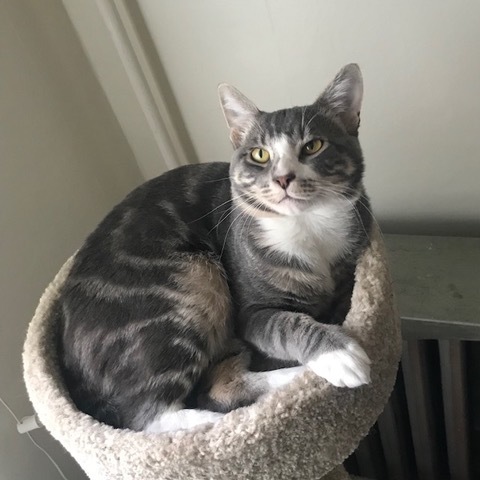 My first home did have an older child and we were best buds, so I know I’ll make a fabulous companion for a person or family that can be patient with me through my teenager phase. Are you in for game-time? Ready to play and snuggle the day away? I can’t wait to meet you! I’m currently in a foster home, so please fill out an application to meet me today! I come to you fixed, vaccinated, and micro-chipped for an adoption fee of $100.